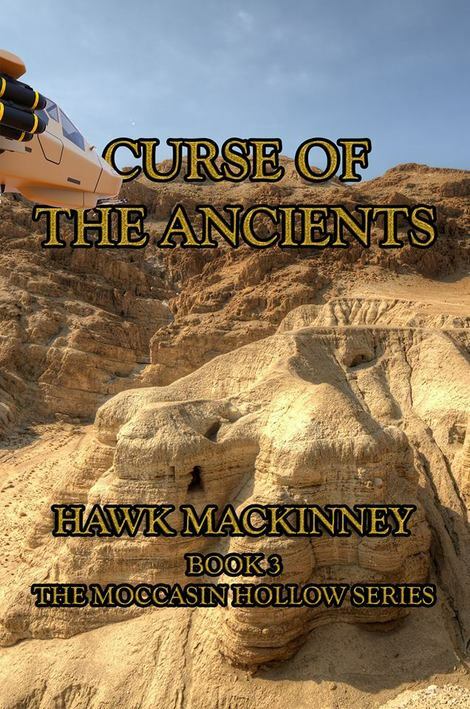 In Curse of the Ancients, from his airstrip to Israel, to Turkey and a nightmare-dream of one-of-a-kind ancient artifacts that not only threatened the serene life Craige knew and loved at Moccasin Hollow, it would destroy the world. Curse of the Ancients is an exciting, fast paced mystery full of murder, biomedical warfare, lies and a confusing series of events that will leave you on the edge of your seat. In this book, we are introduced to Craige and his SEAL friends. They are an intense group of individuals who have learned to trust their gut instincts through many dangerous ops and trust in each other solely. What begins as a seemingly normal murder (if murder could even be described as normal) takes a dangerous turn during the autopsy. That is when Craige is brought when they learn a dangerous poison was used to murder the young woman. Soon after, another body appears and a series of events is unleashed including a train derailment, artifact findings that unleashes deadly and terrifying secrets. Throw in terrorists, spies, possible double agents, biomedical warfare and ancient artifact finds and you will not be able to put this novel down! I loved the way the plot unfolds in this novel, you really never know what to expect next and it keeps you on your toes. I found I had to reread certain parts to ensure I understood the information. The novel takes you almost around the world with the key players and the extent of the crime. There are so many layers of politics, military and secrets and just when you feel like you know what has happened, Hawk throws in a different angle. It is an extremely well written novel that will keep you engaged and entertained throughout the whole story with its unique plot and characters. A definite must read for those who love a good crime solving mystery. « At Home Teeth Whitening Systems for Sensitive Teeth: Does it Work? iRead Book Tours – Thank you for hosting Working Mommy Journal. It is much appreciated.